Everybody Wants Some! !, Romeo Delight and In A Simple Rhyme are all-time top 10 VH tunes for me. There is not a bad song on WACF. Ayuh, WACF was mostly overlooked in SoCal. BiB was a juggernaut. Everybody was playing it. Heck, everybody STILL plays it. Yep. Diver Down got a ton more airplay than WACF and FW combined. BIB is easily one of the most legendary and timeless albums in rock & roll history. I prefer WACF because it's VH, yet it's in my bottom three for studio releases from their entire catalog. Having said that, BIB is a FAR more important and popular record in terms of rock history and appeal. They hit a grand slam home run with it, and it's easy to see & hear why. Since NO Bon Scott AD/DC album is even being discussed. I was like that in my teens and twenties, until I realized what a great band they were. Brian Johnson era for me, all the way, although I do like select tracks from the prior group. Last edited by RRvh1; 01.25.19 at 09:07 AM. 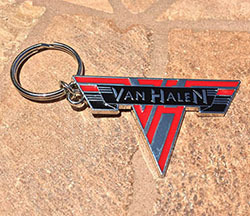 I personally prefer WACF but objectivity, we are comparing a more obscure VH album (at least compared to 1984, VH1, etc.) to AC/DC's biggest selling album. Brian Jones era for me, all the way, although I do like select tracks from the prior group. Brian Jones? Are we talking about AC/DC or the Rolling Stones? Never been an AC/DC fan... Probably from being inundated with "Back in Black" in the locker room before pretty much every high school/college football game I ever played. Last edited by EJC; 01.25.19 at 09:10 AM. That's pretty much, or very similar to how I would put it as well. Good call. I did pick WACF because it's VH, yet I don't listen to it dry often, and certainly not from start to finish. BIB is , as you and others have said, pretty flawless.